Moving US Embassy to Jerusalem – a War Crime? - Retrospect ..
Moving US Embassy to Jerusalem – a War Crime? 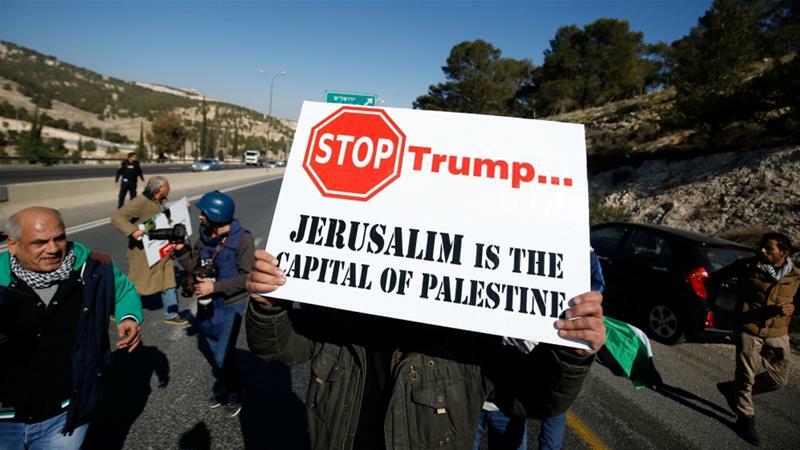 Trump has signaled to move US embassy from Tel Aviv to Jerusalem, which would mean US acceptance of Jerusalem as Israel’s capital. This would mean that East Jerusalem along with Aqsa Mosque & the Dome of Rock will become Israel’s property. This is not just a crime that defies UN Resolutions but it will potentially provoke a large-scale War between the Muslim/Arab World & Israel. Today in 2017, Israel may be feeling very secure amidst a bloodied & torn Arab World. It seems that the Arabs have completely lost it in their battle with a diseased part of their selves & may never rise back to their feet again. But what if the war-call is from Israel & US this time! How will the Islamic world behave against a well-defined enemy they always love to hate!